BT has cut more prices than ever before just in time for Christmas including BT Infinity, unlimited UK weekend calls and BT TV Entertainment Starter package for £10 a month –a saving of over 40 per cent on a 12 month contract. There is also a 13 per cent saving on Total Entertainment for £13 a month. BT’s Biggest Ever Sale is running from Wednesday, 23rd December and customers wanting to take advantage of these offers will have until Thursday, 31st March to sign up. BT Mobile is also offering an unbeatable 2GB deal for £9 a month in January, if you have BT Broadband at home. BT Infinity and unlimited UK weekend calls: will be on offer at £7.50 a month on a 12 month contract (was £12.50 a month), a 40% saving. BT TV Entertainment Starter: will be on offer at £2.50 a month (was £5 a month), a 50% saving. 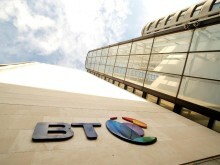 BT TV Total Entertainment Will be on offer at £13 a month (was £15 a month), a 13% saving. Home Phone: The BT8500 single phone will be on offer at £27.99 (was £34.99), a 20% saving. Home Phone: The BT8500 twin phone will be on offer at £39.99 (was £49.99), a 20% saving. Home Phone: The BT8500 trio phone will be on offer at £55.99 (was £69.99), a 20% saving. Home Phone: The BT8500 four phone will be on offer at £71.99 (was £89.99), a 20% saving. BT Mobile £9 a month for 2GB data (was £10 a month)if you have BT Broadband at home (£14 a month if you don’t). Calls to 01, 02 and 03 numbers excluding the Channel Islands, indirect access numbers and dial-up internet access. Other exclusions apply. Inclusive calls: calls up to an hour. Redial within 60 minutes to avoid charges. Offer prices available to new customers, new BT Mobile customers in BT broadband homes (excluding business) and existing customers who move up to the 2GB plan. Ends 19 January 2016. Previous price £10 a month for BT Broadband homes and £15 a month for non-BT Broadband homes. 12-month minimum term. Payment is by Direct Debit and subject to credit status. UK calls to UK landlines (starting 01, 02, 03) and UK mobiles, standard UK texts and data within the UK. You cannot share your data connection with other devices – known as tethering. Speeds vary by location, coverage and demand. One-minute minimum call charge. Service numbers beginning 084, 087, 09 and 118 have an access charge of 30p-per-minute plus a service charge set by the company you call. 0800 numbers and calls to voicemail included. Early termination charge may apply if you stop your service in the first 12 months, see bt.com/terms Compatible phone needed, may need unlocking. Subject to availability. Terms apply. * £49 activation for BT Infinity/£59 activation for BTTV Entertainment Starter pack & BT Infinity. £6.95 delivery for Hub. BT Broadband and BT Infinity offers end 31.03.16. For new BT Broadband customers that sign up for 12 months and pay BT line rental. Both included unlimited UK Weekend calls, 5GB BT Cloud and a BT Home Hub. You’ll need to pay by Direct Debit. If you leave in the first year, we’ll charge you up to £65 towards the cost of your new Hub. Subject to availability. Minimum line spend and computer specification. BT Broadband: price from month 13 currently: £13 a month. Previous price: £7.50 a month on a 12 month term applied from 01.10.15 to 22.12.15. Includes a 10GB usage limit. BT Infinity: Price from month 13 currently: £21 a month. Previous price: £12.50 a month on a 12 month term applied from 01.10.15 to 22.12.15. Includes a 40GB usage limit and Net Protect Plus. Terms Apply. BT TV Total Entertainment: £44 installation. £6.95 delivery. For new BT TV customers with BT Infinity and sufficient line speed. £13 a month for 12 months. 12 month min term. £20 a month from month 13. Existing broadband customers must have 12 months remaining on your contract, if not you’ll need to re-contract your broadband. You’ll need a compatible Ultra HD TV, a YouView+ Ultra HD box and a fast enough line speed to view Ultra HD content. Total Entertainment includes BT Sport Ultra HD channel, up to 28 entertainment channels, up to 9 Kids channels, up to 13 HD channels and TV Everywhere App. App available on up to two compatible devices (Android 4.1.2. Or above / iOS6 or above). If you stop your service in the first year we’ll charge you up to £249 towards the cost of the box. Availability of digital channels and quality of content depends on local transmitter and suitable rooftop aerial (www.freeview.co.uk/availability). Subject to availability. Terms apply.